Many different colors of diamond are produced. The classic diamond color we all know is described as white, but yellow, brown, blue, green, red, and even black can be found. A diamond classified as color D is actually the whitest color on the scale. Before the 4Cs of color, clarity, cut and weight was standardized, the color was often classed as A, AA, AAA or higher. A decision was made to start the standard scale at D to avoid confusion with old grading standards. Of course, when we talk about “white” as the color for any gemstone, we mean “clear”. There are actually very few truly white stones, and so the term is applied to stones without any color. All it takes for a diamond to not be white is microscopic traces of elements other than carbon, of which diamond is made. Nitrogen is the most common trace element, which produces a yellow tone. A D color diamond has no visible color, even under 10x magnification. How Much Does a D Color Diamond Cost? Assuming the gradings for clarity and cut show the diamond to be the highest possible quality, carat weight becomes all important. A 1 carat D color diamond of excellent clarity and cut will cost in the region of $15,000 – $20,000. A 2 carat diamond of the same quality, though, is likely to cost somewhere around $80,000. The reason for the huge leap in value is that large diamonds of such high quality are extremely rare. Once you get past 2 carats the price graph shows a very sharp incline. By the time you reach 5 carats, a perfect D color diamond can cost $250,000 or more. Does A Diamond Hold Its Value? Diamonds, like almost any other commodity, loses a large chunk of its value as soon as you leave the store. Generally, most diamonds will only be worth around 40% of its original retail price. If you’re lucky, that is. More likely it will be around 25% of the original retail purchase price. 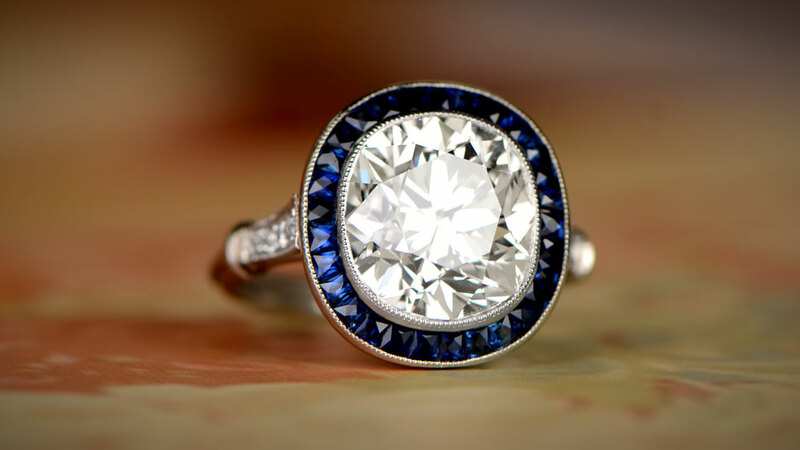 One reason is that dealers buy at much lower wholesale prices, and so don’t need to pay a lot for your ring. As disappointing as that is, there’s no getting around it. Conversely, some fancy color diamonds such as red or blue diamonds are a good investment opportunity. However, such stones are even rarer than D color diamonds, and so will be far more expensive to buy initially. Despite the above, high quality, D color diamonds are very rare and very much desired. This means the resale value will typically be higher than for lower grade stones. There’s still no guarantee that you will recover the price you paid, but the chances of making money in the future are very high. There are many examples of important D-color diamonds selling many times their original purchase price. If you do wish to sell your diamond ring, make sure you choose a reputable dealer. Alternatively, you could realize more of the original price by selling it privately. If you have a D color diamondn that you want to sell, feel free to show it to the Estate Diamond Jewelry Gemologists. Antique diamonds are already quite rare. Many have been re-cut to modern standards, causing availability to drop and, therefore, relative demand to rise. It is actually very unusual to see an antique diamond at better than H color, so a genuine D color is very rare indeed. Similarly, if a D color antique diamond can be found, it will usually be little more than 2 carats. Also, VS1 and VS2 (Very Slightly Included) clarity are usually the best that can be found. 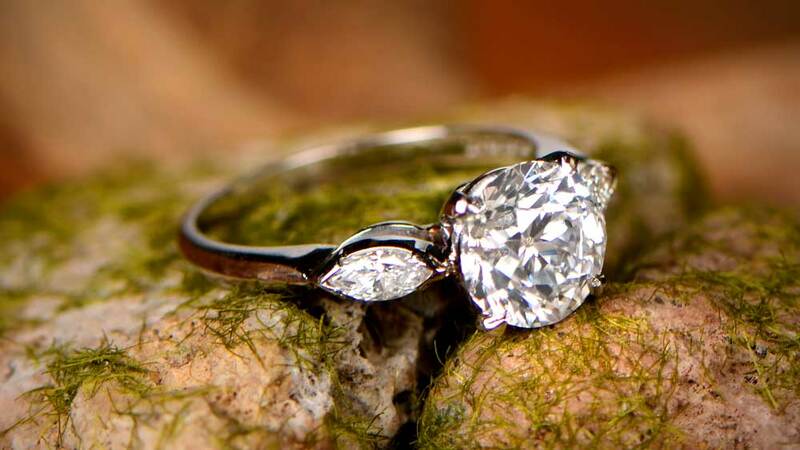 Internally Flawless antique diamonds rarely come to market. Because D color antique diamonds are so rare, there can sometimes be a higher price asked. Richard Burton presented Elizabeth Taylor with a ring bearing a D color, Asscher cut, IF, 33-carat diamond in 1968. Known as the Krupp Diamond, the original purchase price is unknown, but it sold in in 2011 for $8.8m. This is a per carat price of $266,000. 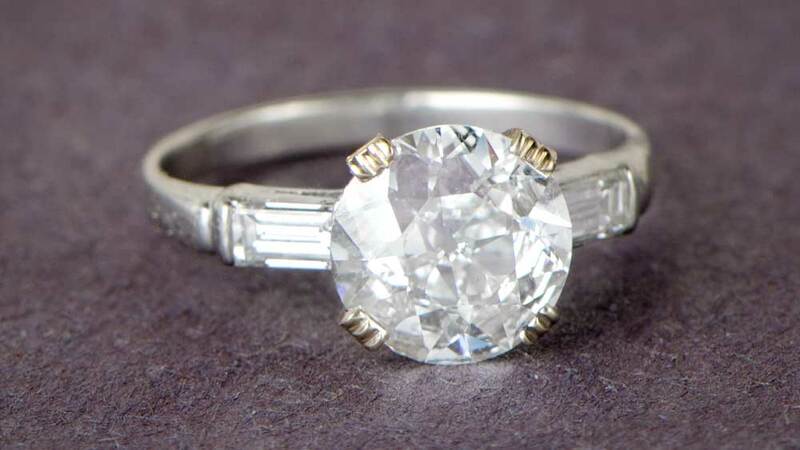 This ring is one of the most famous engagement rings in history. 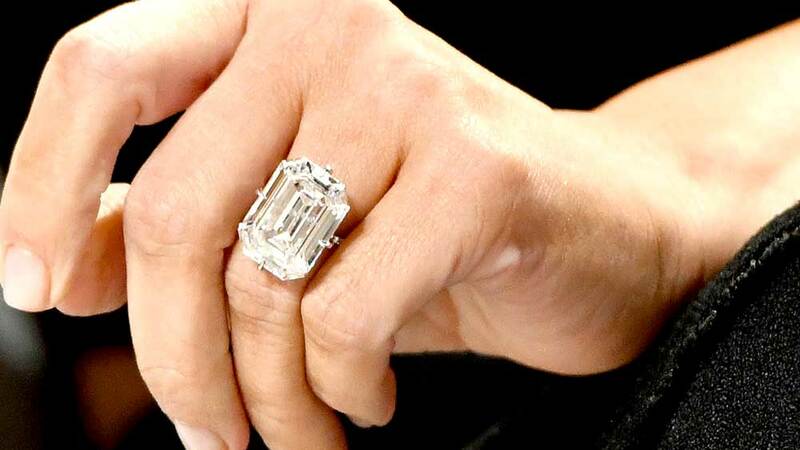 Carey’s engagement ring from media mogul James Packer has a 35-carat, D color diamond. The clarity is unknown, but such large diamonds are rarely anywhere near flawless. The fact that such a large diamond could be D color makes it an exceptionally rare ring. When Kanye West proposed to Kim Kardashian, he did so with an extremely rare, 15-carat, cushion cut, Flawless, D color diamond ring. Estimates put the cost at around $4 million. The publicity around this ring makes it one of the most important engagement rings in modern history.